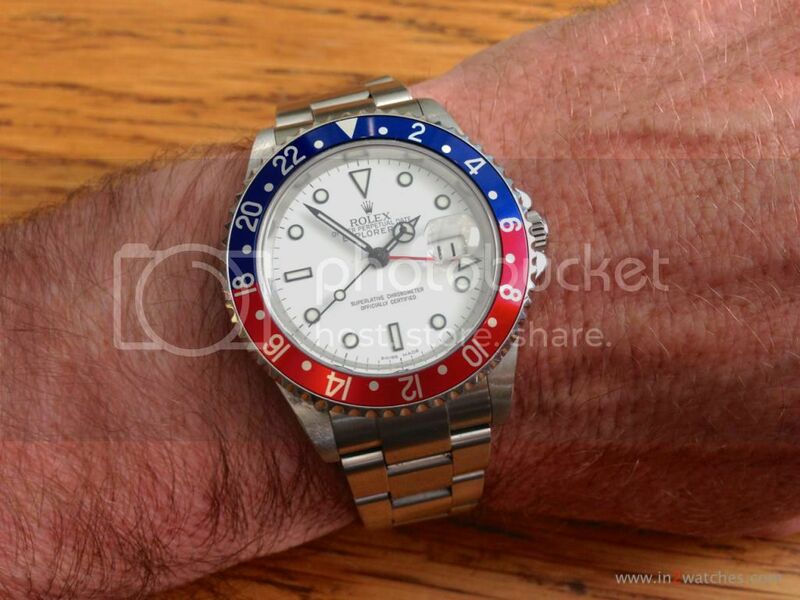 A befriended collector owes both, a GMT-Master II and an Explorer II with white dial. He mentioned that he prefers the white dial of the Explorer-II however found the Pepsi bezel of his GMT-Master II quite useful. Therefor he had a Rolex specialized watchmaker over here in The Netherlands change the movements, complete with dial and hands. While owning both watches, this was the most versatile solution. Of course he could have just changed the bezels (as both watch casings are equal, or just change the dials, however those interventions would have been more, and more delicate work. This entry was posted on June 11, 2014 at 14:22 and is filed under all, front page, opinions. You can follow any responses to this entry through the RSS 2.0 feed.